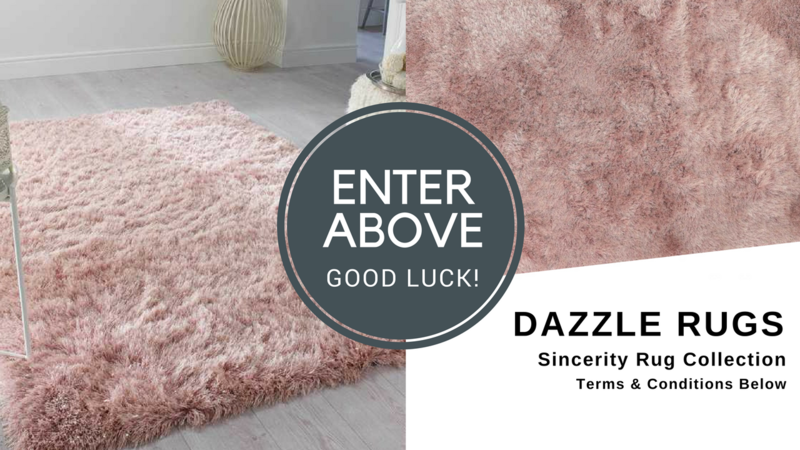 Competition Time: Win A Dazzle Rug! For a limited time only, we are offering you the chance to win a sumptuous Flair rug worth nearly £60. We are pleased to announce a May Bank Holiday giveaway for a new opportunity to win an amazing rug! Why not enter our latest rug competition for a chance to win an extravagant Dazzle rug worth nearly £60! 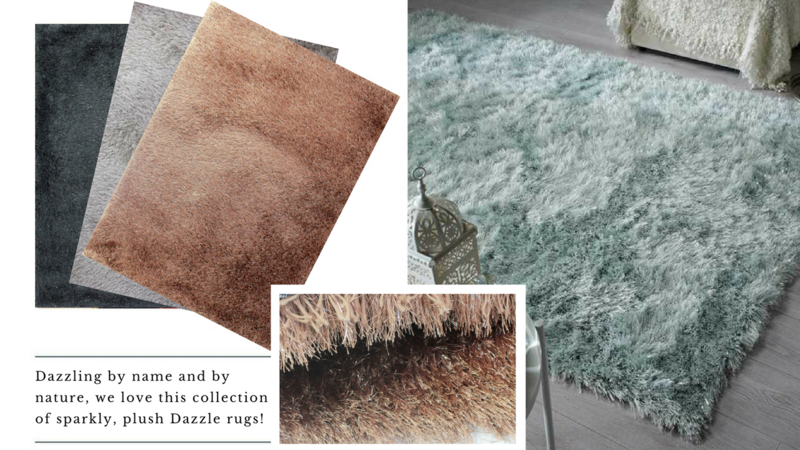 At The Rug Seller, we’re giving away a gorgeous plush Dazzle rug from Flair to one lucky winner. So, this gives you the perfect excuse to update your interior. One of our most desirable ranges is the wonderful Sincerity Collection. We love the collection of stylish Dazzle rugs for every room in the house. We are passionate about bringing fashion to your floors and our Dazzle rugs are created to inspire you to bring beautiful textures, and colours into your interior scheme! From baby blue to posh pink, we adore the diversity and quality of the range. This fabulous prize is ideal for décor lovers. Dazzling by name and nature, Dazzle rugs are super soft and sumptuous. 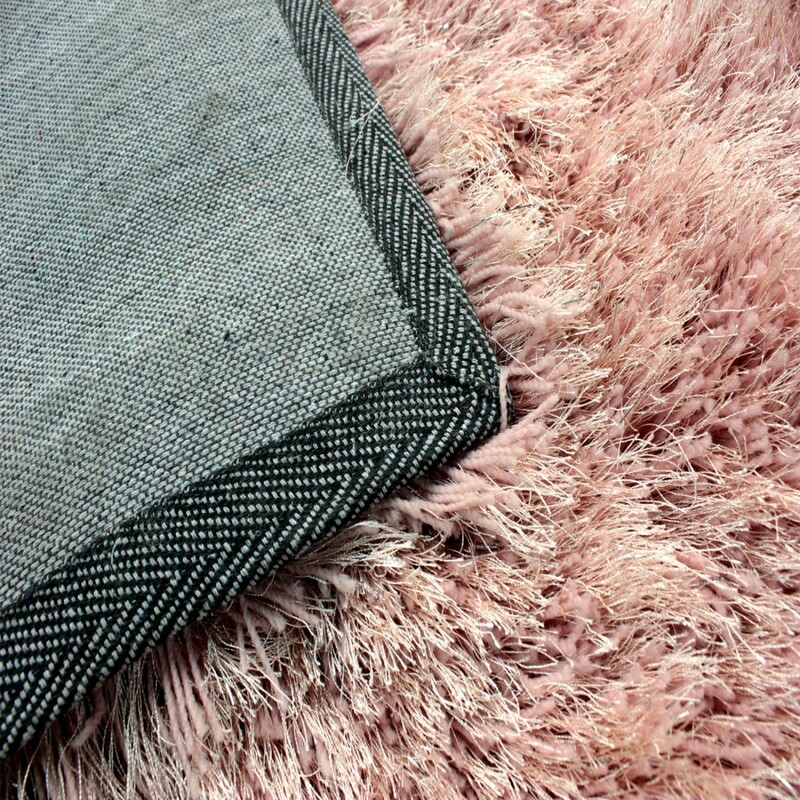 Silky blush yarn creates a thick pile shaggy rug with reflective silver accents to give a touch of bling & glamour. The luxury long pile textured in a chunky and fine yarn to give a plain appearance with amazing dynamic look and feel. Power loomed with a silky soft 100% polyester yarn to create a deep thick pile which will bring a touch of glamour to your interior. Ideal for cosy bedrooms and living rooms. Rugs are a fun and a quick way to decorate your home. Whether you change to match your moods, swap with the seasons or just fancy an instant update, rugs bring character into a room and brighten up our lives. 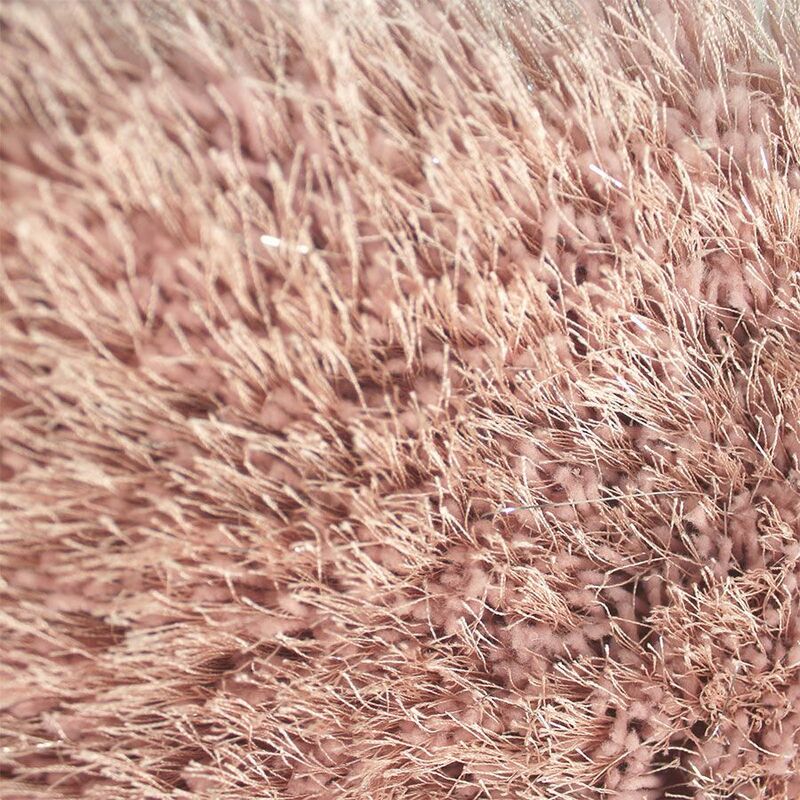 The rug you would win measures 120cm by 170cm and would normally cost £60. Entry into this contest will require you to fill out your email address below. 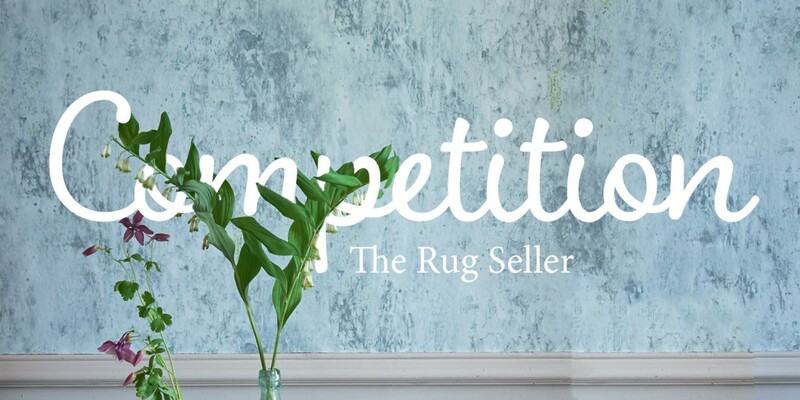 Then, simply head over to our Facebook page The Rug Seller, where we’ll be posting about the competition all May bank holiday weekend. You just need to like, share and comment on our Facebook posts for your chance to win a gorgeous Flair Dazzle rug worth nearly £60. For more details and T&C’s please see below. The rug competition is running for the entire bank holiday weekend, starting 4th May and ends 7th May 2018 at 23:59pm. You have until 7th May to enter, so make sure to visit our Facebook page to like, share and comment on our post. The winner will be drawn at random and we will announce the winner across all our social media pages (Facebook, Twitter, and Instagram). So, don’t forget to check back after the 7th to see if your name is there! Follow us on Facebook @TheRugSeller, Twitter @therugseller, and Instagram @therugseller. Where would you place this fabulous rug in your home? Competition closes at 23:59 on 7th May 2018. Entries after this time will not be counted. 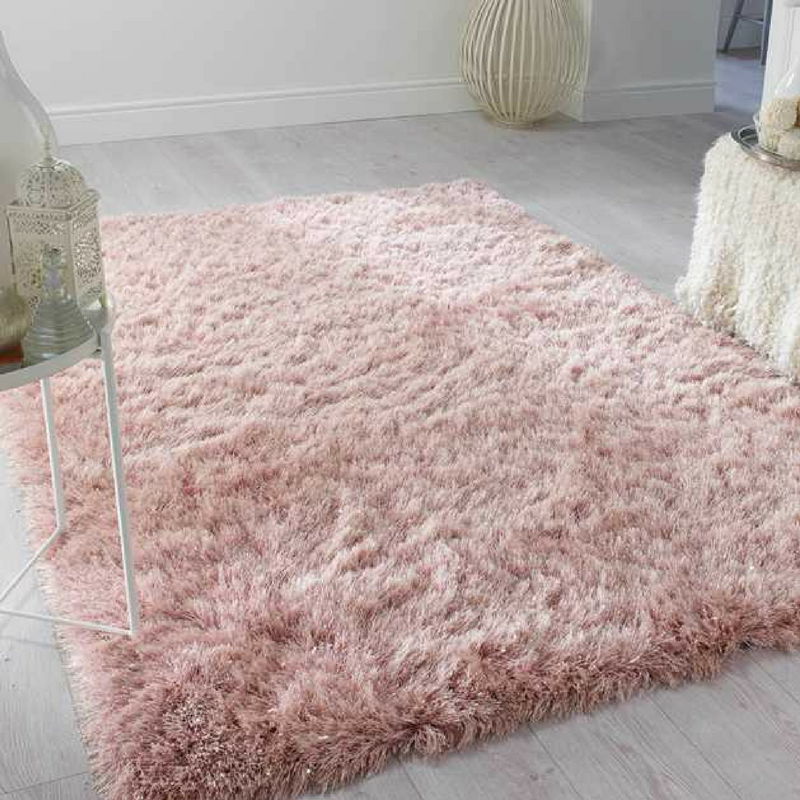 The prize is 1x Dazzle Rug Blush Pink rug in 120×170 delivered to the winners address free of charge. Delivery to UK addresses only. No part of the prize is exchangeable for cash. The prize winner will be selected randomly from all participants. Entries can be submitted by liking, sharing and commenting a competition-related tweet on Facebook or Twitter to be automatically entered into the prize draw. The Rug Seller reserves the right to disqualify entrants who do not fulfil entry requirements. The Rug Seller will contact the winner via Facebook or Twitter within 14 days of the closing date. Winners must respond to notification of their prize and share their email address within 5 days. Otherwise, the right to claim the prize will be lost and The Rug Seller reserves the right to re-award the prize. The Rug Seller reserves the right to change these rules or cancel the competition at any time. You agree to participate, at our request, in publicity in association with the Competition and/or the Prize in all publicity, marketing and materials. A lovely rug which would look wonderful in my daughter’s bedroom. Such a luxurious item for a pampered girl! Such a lovely rug for my daughters bedroom. A luxurious pink for her forthcoming 21st… she would be a pampered lady! Would look gorgeous in my bedroom!! Totally love it!! Amazing!want it.dont even think about giving it anyone else! Wow yes please This is so lush ,fabulous rug. I would love to have this for my daughter who loves to sunggle in the floor . Lovely for our new home. Lovely rug perfect for my new extension. Great comp. Great prize. Lk great in my lounge. Good luck all. Happy bank hols. This would look amazing in my bedroom.